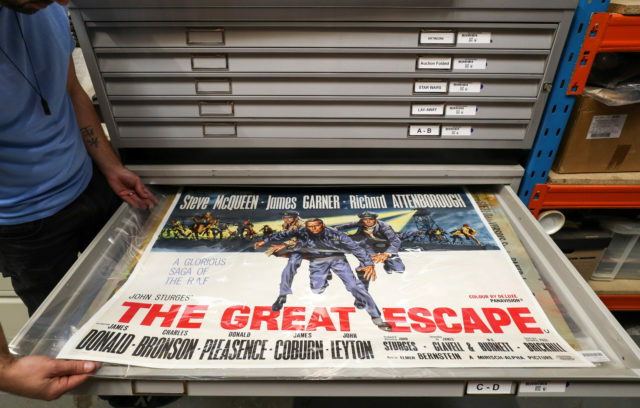 Film and TV memorabilia company Prop Store is selling more than 400 collectable original posters, worth in excess of £250,000, at a live auction on November 20. Among them are vintage posters from 007 films Dr No (1962), From Russia With Love (1963), Goldfinger (1964) and Thunderball (1965). The Dr No poster is estimated to sell for between £8,000 and £10,000 alone, while the From Russia With Love poster predicted to shift for £7,000 to £8,000. Thunderball and Goldfinger could sell for up to £6,000 and £4,000 respectively, according to Prop Store. 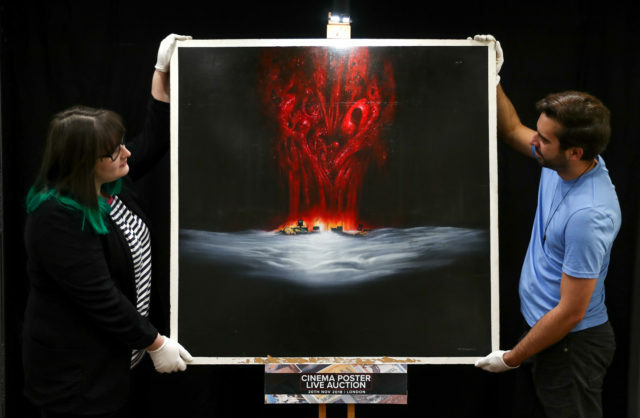 Other highlights from the sale include original artwork from the 1982 horror movie The Thing, estimated to sell for £7,000 to £8,000, and a US one-sheet poster of Breakfast At Tiffany’s (1961), which could sell for £4,000 to £5,000. 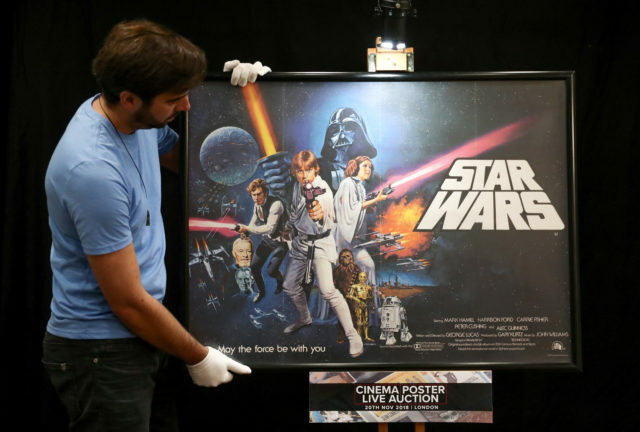 A Star Wars birthday poster from 1977 and a Get Carter quad poster from 1971, both estimated to sell for between £2,500 and £3,000, are also on sale. Stephen Lane, Prop Store CEO, said: “After the success of our inaugural Cinema Poster Auction earlier this year when we sold £200,000 worth of posters and artwork, we are delighted to offer over 400 lots in our forthcoming Poster Auction in November 2018. Mike Bloomfield, Prop Store’s poster expert, said: “Prop Store are delighted to offer one of the most comprehensive James Bond poster collections ever to come on to the market. The auction will take place at the Prop Store’s warehouse in Rickmansworth, Hertfordshire, and will be live streamed online for fans to track the bidding. Mike Myers stars as 60s hipster secret agent Austin Powers, brought out of cryo-freeze to oppose his greatest enemy in the 1990s.